This is a recent discovery, a recommendation from a fellow blogger after I announced our plans to travel to the USA. We'll be away for a month, and we need to have a tightly-packed schedule in order to get everything done that we'd like to do. Travefy, as used for individuals, is a cool way to record all of your itinerary plans in one place so that you can have all of your activities nicely organized by date. I've found it very intuitive to use, and when you're done putting in your flight and hotel info and all the info on the activities you want to do and the places you want to eat, before your trip, you can print out a nicely formatted PDF with everything in one place and in the proper order. It sure beats my old method, which involved collecting all the needed information for our trip and our schedule into one loooong draft email and then printing the email. Again, I've been recommending this site in real life as well, and now some of my family members are using it to plan their upcoming trips. Well obviously. But I might have a slightly unusual way of using it. Because so often we've been traveling in locations where we don't have full internet access (such as China), or it's too risky to be bringing expensive electronics with us everywhere, I will often map out the places we plan to go in a day on Google maps and record all important info ahead of time and print out information about metro stops or trains, addresses, and street names before we even leave on our trip. I use the technology ahead of time so that we aren't reliant on it while traveling. This strategy has come in very handy multiple times--such as when we were in Japan. We expected to have Wifi access where we were staying, it was part of the booking, but there was some malfunction with the Wifi service and we weren't able to get any internet at the place where we slept for the first three nights of the trip. If I had been relying on being able to look up the train information I needed each day along the way, I would have been much more confused about where to go and what to do. But I had good old-fashioned papers with all of the directions from Google maps on how to get anywhere we wanted to go, and I had no need to access the internet during our stay. The best advice I have for booking low cost flights is to to combine the strength of multiple search engines and tools in order to find the best deal for you. We can't and don't take advantage of many of the "flight hacks" techniques, because with our lifestyle, we can't take off at any time of year or without advance notice. Our travel is usually limited to specific times of year for a purpose, so last minute deals might not work. Also, where we live, we can't use our credit cards often, so there's no such thing as racking up credit card points, either. Low-cost carriers that have cheap flights but no baggage included are often a good option for us because we don't like to bring a lot of packed luggage when we travel We shared one carry-on and two normal/small backpacks for our 8-day trip to Japan, and we flew on AirAsia, which is often a good budget option for this part of the world. The multi-city itinerary tool on Kayak worked very good for us in order to get our 'layover vacation' in CA while en route to Texas. Mostly, my best advice is to not just look in one place, but to check out several different flight search tools, and find which one offers the best balance of location, price, layover, and extra features (luggage, on-flight entertainment, etc.) for your trip. I'll be honest--when planning travel, I don't find the websites of city tourism bureaus to be all that helpful. Even Tripadvisor and physical books of things to do in certain areas aren't the most helpful for me. Whenever I'm researching a new destination, I search specifically for blogs written by real live humans about what they actually did in the area. I find the info to be much more practical and relatable--since I can usually get to know the sort of personality of the blogger behind the blog, I can know whether or not I would like the same things someone else likes. There have even been a few occasions where a travel blogger wrote about a certain experience being "boring," or being dissatisfied with their experience, but, based on what they wrote about the experience, I decided to go and visit, because I knew that with my personality and interests, I would likely find the experience very interesting, even though they didn't enjoy it. To me, that's a fascinating side of blogging--that someone might purposely decide to go and do something that you recommend NOT doing, because they know that they would probably enjoy it even if you didn't. 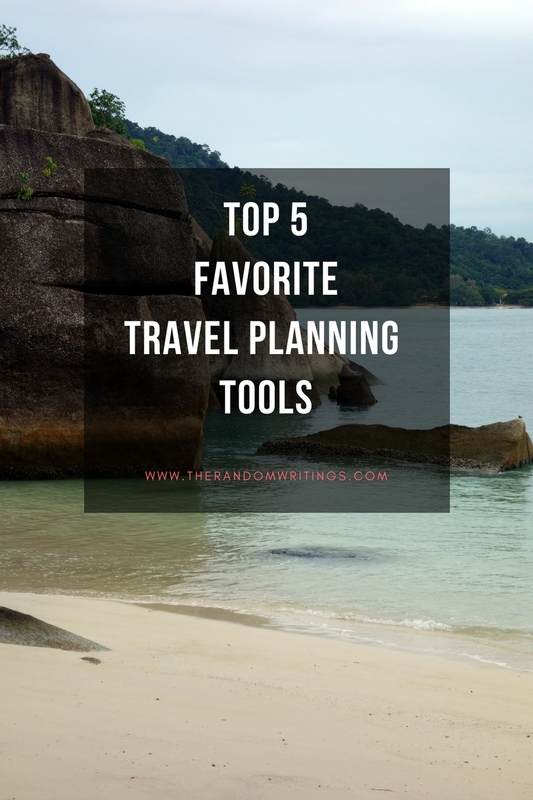 What are your favorite tools to use when planning efficient, fun, and cost-effective travel? I've always got my ears open for more recommendations! I need to check out Google flights! Never heard of it! I live for Google Maps - even when not traveling! Blogs are my go-to for planning as well! Google maps is my favorite! I love how they work with the transportation system in every state or country. That is interesting about Travefy. I need to check it out. My husband has just started creating an itinerary for when I visit him in April in HK. Thanks for the tips dear! Need to check them out! These are all so good! And while I do like reading other bloggers' posts about travel, I tend to go with the crowd and look at websites like TripAdvisor for the top 50 things to do in a city. Then I read the reviews and kind of figure out which things sound like something we'd love most. I have totally done the same thing you mentioned, though, where someone talked about why they didn't like a specific thing and everything they wrote about it made me realize that we WOULD like it, ha! So we went anyway and loved it! Ahh this is so helpful! We want to travel internationally soon and I'm looking for good tools and cost-savers. Thanks for sharing! I used to use guidebooks and google for travel inspiration. Now travel blogs are my go to! Love the unbiased reviews. This is a great resource! I'm hoping to use AirBnB one of these days. That is a great price for a place to stay! I love google flights because it doesn't seem to increase the price once I check such as other airline sites do. I also utilized a lot of travel blogs when planning my trip to Europe last summer. No. 1,3 and 4 are things I constantly do/ use when planning our travels! In fact I just booked a trip to Italy and have been all over #1 and #2. You're right, blogs are a great way to find helpful travel information! Also, I've been thinking about trying out Airbnb. I keep hearing so many great things about it. Travefy sounds really cool, I need to look into that! Where in the US are you headed? This is really great info! I had not heard of Travefy before. Definitely checking it out! I love reading travel blogs! They have so much information and its helps figure out what part of the area I want to stay in. This is a great resource. We're planning summer trips and have loved using AirBNB. Great tips! I've been hearing lots of good things about airbnb, so I'll definitely check them out next time we travel! I love to travel so these are all great resources! I will be looking to use these in the future! Oh my gosh YES we love airbnb! We actually booked our honeymoon place with them coming this July! You can actually download maps from Google Maps so you can use them when you don't have internet. Great post!